Fangs and claws, tawny shadows, leopards spots slinking through the branches…You think you’ve seen it all, but wait, wait…what’s that on the termite mound over there? A delicate cheetah mother intently watching a herd of Tommie gazelles as her cubs tumble riotously at her side, falling off the mound but climbing back on again, and again and again…Good Morning…it’s 5:30 am in the Mara and your day has just begun. This safari focuses on the Big Cats for which the Mara is justly famous. Few places in Africa can boast of the cat densities you will see here. But with fame comes popularity, i.e. many visitors and crowded sightings. Several conservancies have been created recently on lands adjacent to the Mara, both to ease pressure on the reserve and its wildlife & to benefit the local people. These Mara conservancies share unfenced borders with the reserve and will be your home for 8 exciting nights of lions, leopards and cheetah, and better still, few other vehicles to share it with! You will visit the Masai Mara reserve proper as well 3 of the conservancies that adjoin the Mara. You will divide your time between Porini Mara Camp andPorini Lion Camp and from here, you will be able to go out and track the cats you’ve come so far to see. The conservancies have big cats in big numbers. In fact, with roughly 100 lions living in the vicinity, it has one of the highest lion densities in the world. Of course, such a healthy lion population would not be possible without an equally healthy wildlife food chain below it. Because of its size and the limited number of guests, you will never find 20 vehicles huddled around a kill at the conservancy. In fact, given the small number of camps, it is unlikely that you would even find 3! It was the landowners, in what was then “Koiyaki block 4”, who decided to come together and jointly lease their land in order to form the Mara Naboisho conservancy. It is due to their cooperative efforts that the possibility of forming a conservancy became a reality. They set the wheels in motion for the empowerment of their communities and the conservation of the land and wildlife. The population distribution around the Mara Naboisho conservancy is estimated to be a little fewer than 23,000 people (roughly 4,900 households). The Maasai have maintained a pastoral way of life, co-existing with wildlife for several thousands of years. Livestock farming is the main source of livelihood and income for the landowners who have leased their land to create Mara Naboisho. The creation of the conservancy is an opportunity not only to conserve the wildlife, which is under threat from human activities and land-use changes, but will also help to diversify the livelihoods of the Maasai so that they can cope with the climatic fluctuations that are common in the drylands. 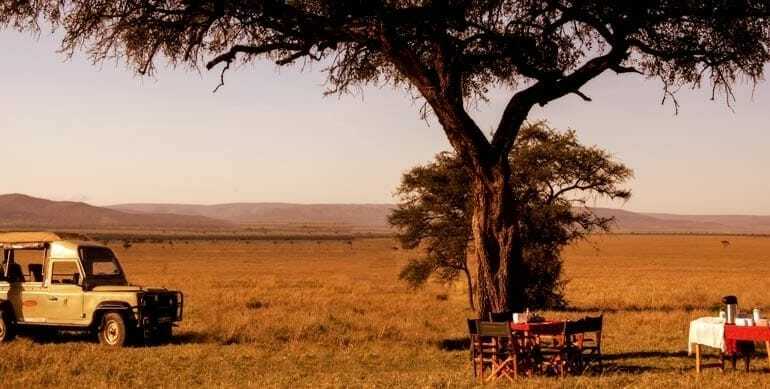 Currently approximately 500 landowners are receiving 14,000 Kenyan shillings (± us$165) on average per month in lease fees from the tourism investors. Some landowners are members of additional conservancies, such as Olare Orok, Motorogi and Ol Kinyei, where they also receive lease fees. The landowners are paid on a monthly basis by bank transfer into their personal accounts. Unlike the old system, in which the chiefs were paid and it was up to them to distribute the money, this new system ensures that each member is paid their share. The same system has been successfully implemented in other conservancies. The other 2 conservancies on this itinerary are organized along similar lines. Balloon ride; we can also arrange for you to meet up with the Mara Predator Project. This Kenyan safari begins and ends in Nairobi. Flights from Nairobi (Wilson) to the Mara are included.